Many animals synchronise their movements with that of their potential prey species. Some of our analyses has shown that eagles tend to time their summer migration towards the swedish mountains, with that of reindeer. 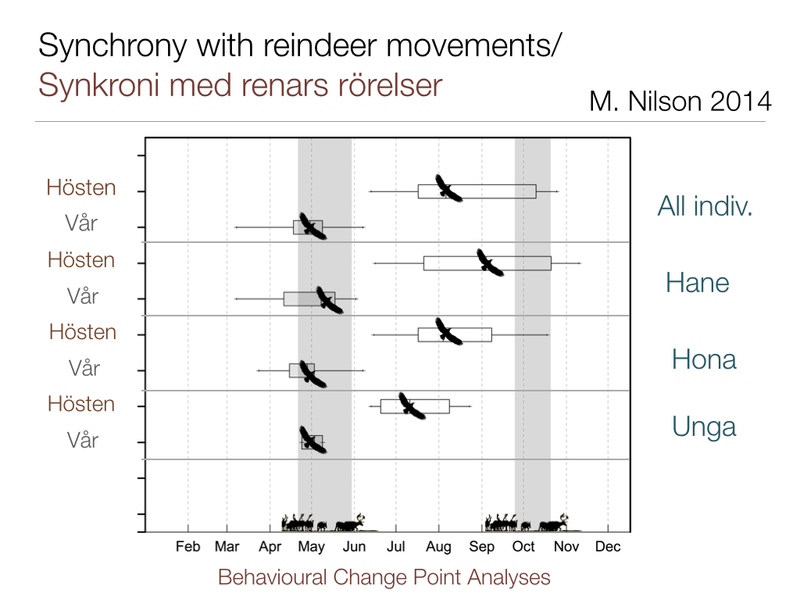 Related Published Literature from the project: Mattias Nilsson (2014) Movement ecology of the golden eagle (Aquila chrysaetos) and the semi-domesticated reindeer (Rangifer tarandus) - Synchronous movements in a boreal ecosystem. Swedish University of Agricultural Sciences, Umeå.